Leather is created through the tanning of hides & skins, converting the putrescible skin into a durable & long lasting material. Leather is not leather until the skin or hide has been tanned. 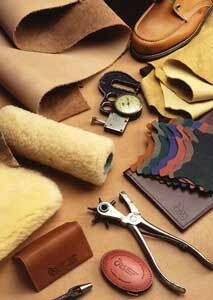 Their are numerous different types, manufacturing processes, uses & ways to care for leather. Use the various links below for more information on each resource.